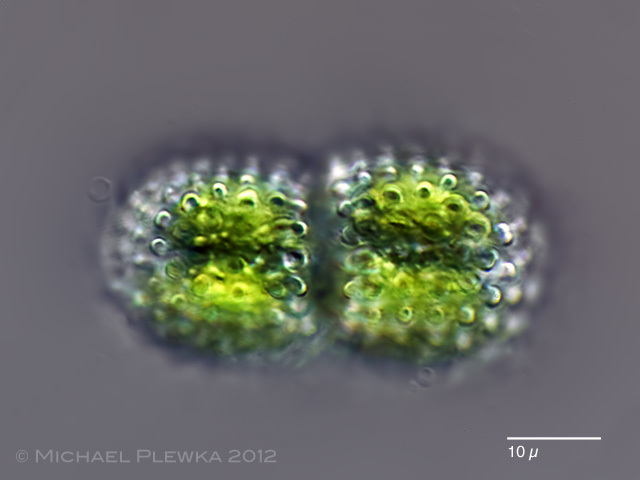 Cosmarium pseudamoenum; focal plane on the center of the cell. 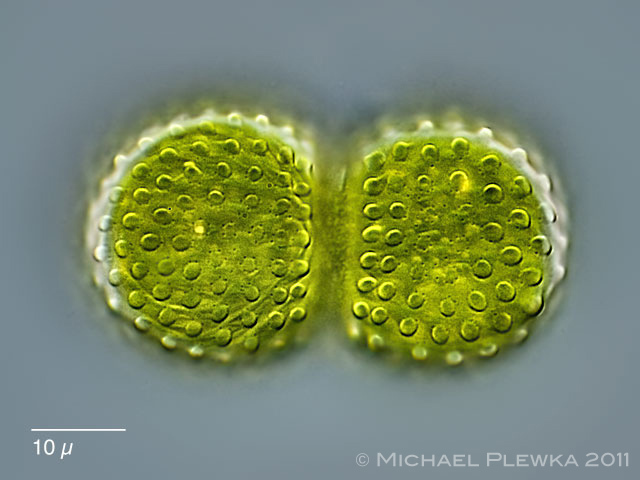 Cosmarium pseudamoenum; focus plane on the cell surface. 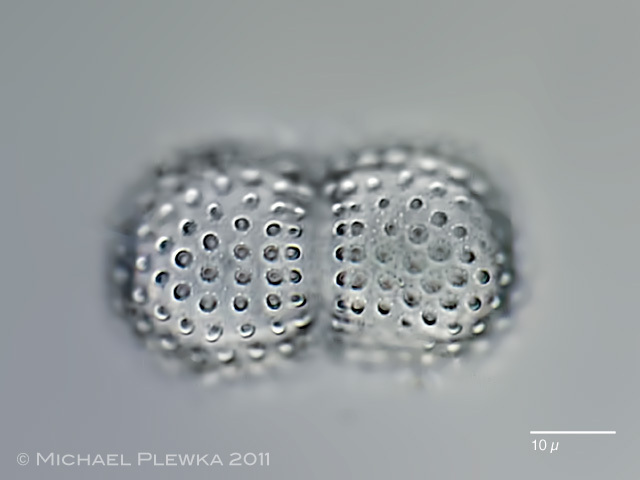 Cosmarium pseudamoenum; focal plane on the periphery of the cell showing the warts on the surface. 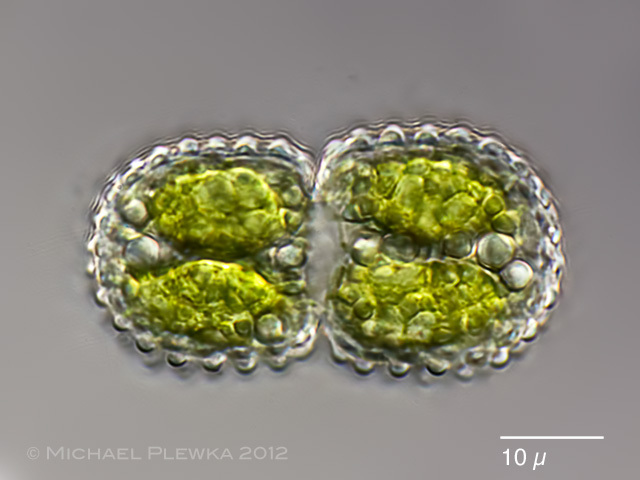 Cosmarium pseudamoenum; dead specimen; focus plane on the periphery of the cell showing the warts on the surface.